Women film directors from the Gulf, many of them Arabs, are taking the film world by storm, as the recently-concluded 14th Dubai International Film Festival (DIFF) highlighted. A number of them played and won top prizes at the festival. Her film Wajib won Best Film at DIFF (Best Muhr Fiction Feature), as well as the Best Actor prize, shared by real-life father and son co-stars, Mohammed Bakri and Saleh Bakri. 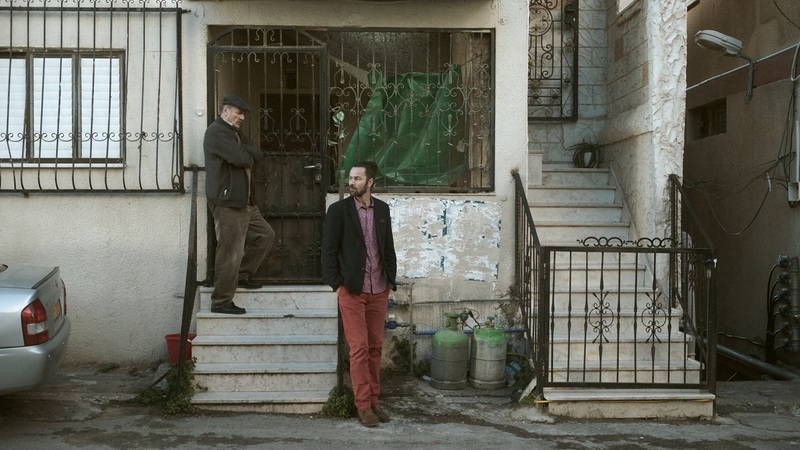 The film is also Palestine’s Oscar entry for Best Foreign Language Film. A heart-warming story of reconciliation of a troubled father-son relationship, Wajib follows a day in the life of Abu Shadi and his son Shadi. As they visit relatives distributing invitations to Shadi’s sister’s wedding, the film offers insights into Palestinian society, politics and dreams, all in a sophisticated conversational way. The film is a complex Palestine – France – Germany – Colombia – Norway – Qatar – UAE co-production. Annemarie Jacir is a Palestinian filmmaker who has written, directed and produced over 16 films, including two features, Salt of This Sea, which was at the Cannes Film Festival, and When I Saw You, which won the NETPAC award at the Berlin Film Festival. Her film Mary Shelley played at the Dubai International Film Festival. Saudi Arabia’s first woman director, al-Mansour’s debut feature Wadjda was about a young girl who wants to buy a bicycle and race with a boy. It was a delicately observed film that commented on the patriarchy and misogyny in her society. 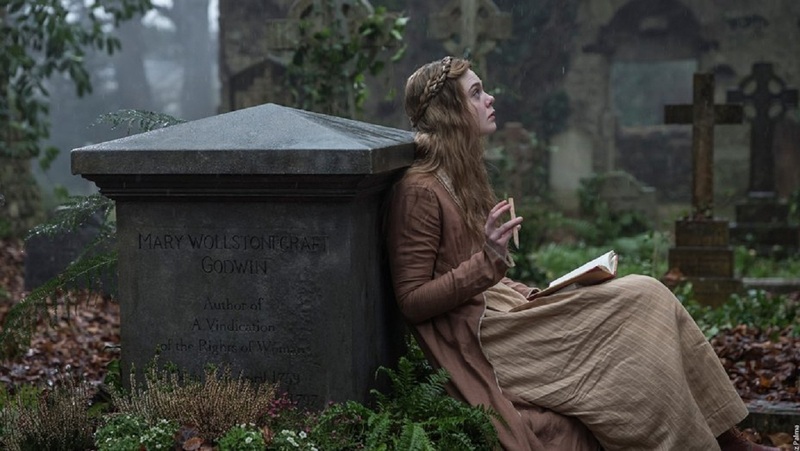 Mary Shelley is a lavish British period drama starring Elle Fanning and Douglas, on the tempestuous relationship between 19th century writer Mary Godwin and the poet Percy Bysshe Shelley. Mary Shelley played at the Toronto and BFI London Film Festivals, before playing here at Dubai. Wadjda was at the Venice, Sundance and Rotterdam film festivals. Al-Mansour studied literature and film at universities in Cairo and Sydney. She is married to an American diplomat and is based in Los Angeles. Her film The Blessed (Les Bienheureux) bagged her the Best Director award at DIFF. A few years after the end of the civil war in Algiers, as Amal and Samir celebrate their 20th wedding anniversary, their son Fahim and his friends wander through a hostile Algiers. The film, in Arabic and French, is a France-Belgium-Qatar co-production. Sofia Djama, who did her bachelor’s in Algiers, wrote a collection of short stories with Algiers as the protagonist. Her first short film “Mollement un samedi matin,” adapted from one of her stories, won two awards at the Clermont Ferrand film festival. The Blessed is her debut feature. A still from Mary Shelley. Her film Alaat Haddah (Sharp Tools), a feature-length documentary, won Best Emirati feature at DIFF. The film is a fascinating portrait of the late Hassan Sharif, one of the most influential figures in contemporary art in the Gulf–an artist, thinker, writer and critic. He greatly expanded the contours of art in the region, through provocative conceptual pieces and experiments in performance, as well as numerous paintings and sculptures. Nujoom Alghanem is an accomplished Emirati poet, scriptwriter and award-winning director. Her film Nearby Sky won Best Muhr Non-Fiction at DIFF, and her Amal won First Prize in the Muhr Emirati competition at DIFF. Her film Until The End Of Time played at DIFF. It is a moving story of a woman, Johar, 60, who on being widowed, decides to be buried next to her sister. She requests the help of Ali, the old gravedigger, to help her organise her own funeral in the cemetery of Sidi Boulekbour. But preparations for the final journey go awry when Ali and Johar unexpectedly realise they have feelings for each other. Yasmine Chouikh is an Algerian director who made two shorts, The Door and The Djinn, and a TV series, Studio 27. Until the End of Time is her debut feature. Hala Elkoussy (Egypt): Her debut feature Cactus Flower was at DIFF and won Best Actress for Menha El Batroui. A struggling actress, her elderly neighbour and a street-savvy kid, all looking for shelter, develop an unlikely friendship. Niki Karimi, Iran: A prolific actress and accomplished director, she is also producer and star of Azar, which played at DIFF. The protagonist Azar, not your average Iranian housewife, runs a pizza parlour with her husband, delivers pizza alone on a bike at night, and enjoys riding a bike at motocross. When tragedy strikes their family, she pays a heavy price.